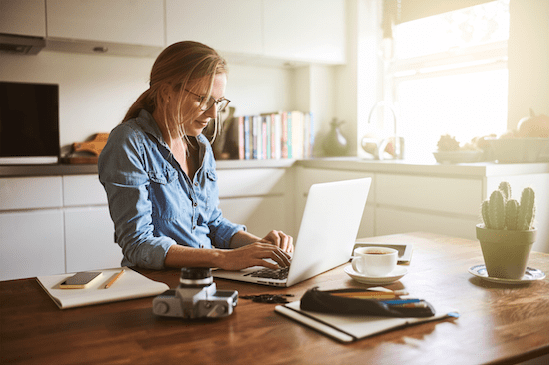 Safeguard Your Home Business - Joseph W. McCartin Insurance, Inc.
Trading a commute and a desk for a flexible schedule and a cozy couch are just some of the many benefits of running a business from home. While these perks are certainly enjoyable, having a home business means that you are now responsible for many aspects of your company that an office setting would typically cover. With this in mind, it is important to protect yourself and your business legally and financially in case of an unforeseen even t.
Many people overlook home business insurance because they assume that a homeowner’s policy will be sufficient. However, employees, property structures and inventory are just some of the additional items that may not be covered with a typical homeowner’s policy. If this is the case, you may want to consider a form of supplemental insurance. General Liability Insurance: This provides overarching coverage against claims that occur at a home business. Any client or employee injuries sustained on company property must be covered by a separate liability policy. Professional Liability Insurance: If your home-based business provides a service, this type of policy will cover legal and damage expenses associated with a client claim of negligence or error. Business Property Insurance: While a homeowner’s policy may cover some assets, there is typically a reimbursement limit that may not cover the total cost of loss or theft of business property and inventory. Property such as company phones and computers also may not be covered once they leave the premises. Business Interruption Insurance: In case a home disturbance interrupts your ability to work for a period of time, this type of policy can cover lost income. This may include your home suffering damage or power outages which prevents your company from operating. Depending on your particular circumstance, there are subsets of each of these policies that may provide the varying level of coverage that your home business needs. For a quote on home business insurance or to get more information on the type of coverage that best suits your needs, read more.